Gruesome slasher murders are spreading terror in San Francisco. The pressure is on the police force to track down the killer before another young woman is found, throat cut, body abandoned. Homicide Inspector Kate Gillespie is picked to lead the search with her partner, old-timer Sam Scolari. This is the case that could make Kate's career. But the next victim stops her in her tracks--Sam's ex-wife. All evidence points to him. He goes underground, leaving Kate alone to prove his innocence, or his guilt. Kate has to find the killer before the cops find Sam. Complicating matters is Mike "Torrid" Torrance, the sexiest Internal Affairs officer ever to carry a badge. He's watching Kate, an assignment that brings them far closer than they expected. Without a partner she can trust . 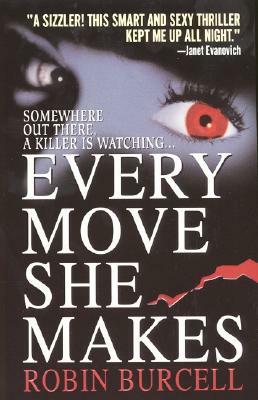 . . with a killer and a cop watching her every move . . . can Kate find the truth before it's too late?